Summary of passage: God did not reject His people. They have rejected Him, but not all of them. God has chosen a remnant (the elect) by grace and the others hearts’ were hardened towards Him. 6) Israel sought a law of righteousness. They did not obtain it because righteousness is by faith, not works. Isaiah 29:10-14: The Lord has blinded some to faith and others He hasn’t. Many have only a superficial faith–all words with no heart. Psalm 69:22-26: Some have eyes that cannot see the Truth and will face God’s wrath. Matthew 13:12-15: Jesus spoke in parables in order to reach those who do not understand and have hard hearts. John 12:37-43: Many did not believe in Jesus even after his miracles. God had blinded them to the Truth and deadened their hearts. But some did believe. Acts 28:24-28: Paul would preach to the Jews and many would not believe. Hence, God turned to the Gentiles who would listen. Conclusions: Nothing new here. Many references in the Bible to the same idea: Many heard the Truth and turned away. Some believed. This is true for us today. Just tell the Truth. Some will believe; some won’t. It is God who chooses/elects. End Notes: [Same as Yesterday’s]. In the Old Testament, the Jews and Israel are God’s elect, those chosen to be those whom God revealed Himself and His will to, and through whom he could exhibit and declare to the world his purposes and salvation. In the New Testament, Jesus is the Elect One, and through Him the church, replacing the old Israel in the purposes of God. This new race is mostly composed of poor and ordinary people (1 Corinthians 1:27-29). The question as to whether the Jews are, as a people, still the elect of God is faced by Paul here in Romans 9-11 in the light of the salvation of God in and through Jesus. In chapters 9 & 10 Paul painfully admits that, on the whole, the Jews did not believe in Christ. Despite all the advantages of Old Testament history, they “stumbled over the ‘stumbling stone'” (Romans 9:32). In chapter 11, Paul goes back over that history and asks whether it was futile. Will the Jews come to believe in Christ some day? Did their tragic experience produce any advantage for the rest of the world? This chapter clearly shows God’s eternal love for his chosen people. Paul will conclude with a poetic outburst, celebrating God’s mysterious ways of working on earth. Paul answers in Chapter 11: If Israel’s rejection of the gospel was somehow both consistent with God’s eternal plan (Romans 9:1-29) and Israel’s own choosing (Romans 9:30-10:21), then does this mean that Israel’s fate is settled, and there is no possibility of restoration? No! For one, Paul is a Jew and he has been saved. We first look to ourselves for God’s grace. There is a remnant of Jews who embrace Jesus and like Elijah, God will work through them for the sake of the others. God often works in small groups and in the first century Jews believers in Christ were small and in Elijah’s time it was just him! A remnant is “something left over”. In the Bible, it’s those who would survive God’s judgement and become the new, true Israel. The elect are those whom God has chosen for salvation out of His great love, not merit. And it is by God’s grace (not works), and elect was chosen. God enlightens whom He so chooses because He’s God and can do whatever He wants. The Jews of Paul’s day were so secure in their idea of being the chosen people that the very idea became the thing that ruined them. This spiritual dullness had continued since Isaiah’s day. 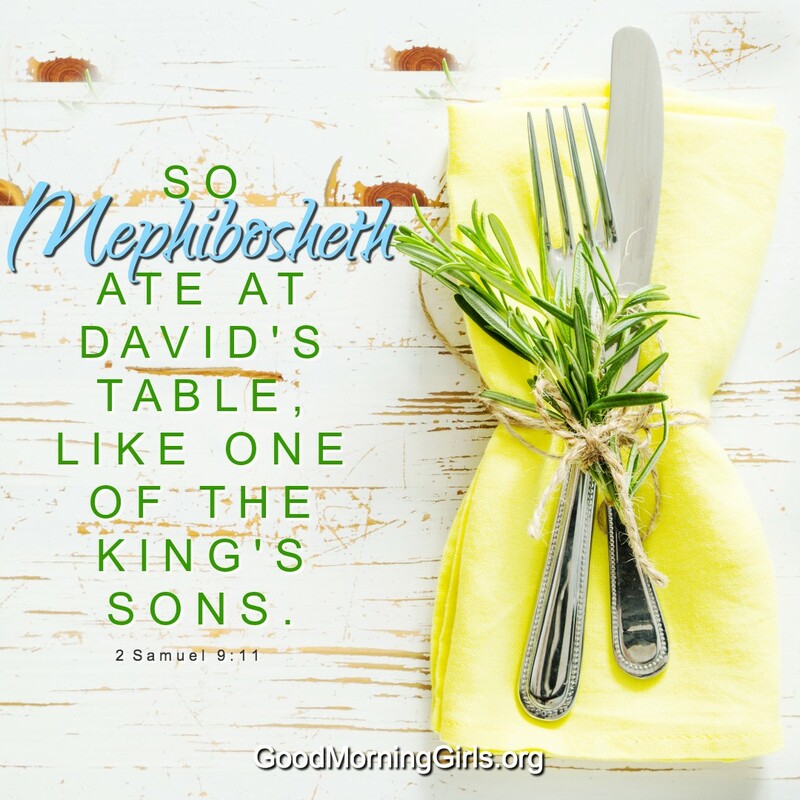 The passage from Psalm was probably originally spoken by David concerning his enemies; Paul uses it to describe the results of the divine hardening. Summary of passage: Obey Jesus out of love for him. The Father will send us the Spirit of Truth (Holy Spirit) to be with us and in us and we will live. Whoever obeys God’s commands loves God and will be loved by God and Jesus. The Holy Spirit will teach you all things and will remind you of everything Jesus has said. 6) Counselor, Spirit of Truth, and Holy Spirit. 7) The Holy Spirit is a teacher who “will teach you all things and remind you of everything.” The Counselor will be in you always and will be with you always. You will know him. 8 ) Part personal Question. My answer: Love is obeying Jesus’ commands. Well, we have to learn Jesus’ commands in order to obey them. Hence, we study the Bible to know what those commands are so we can obey. The Holy Spirit helps us to understand God’s commands. As we obey and understand God’s commands, we love Him more. I feel like I hear God more, but it’s never any easier I feel to obey what He says. I know what I’m supposed to be doing, but I’m in a stop-gap where I’m trying to earn money for my family to pay our bills. So it’s quite a quandary. Conclusions: Again, like yesterday, I feel I’m not much help with these questions. End Notes: This is the first in a series of important passages about the Holy Spirit since Jesus has not mentioned it before. Love is not just an emotion or a feeling. Jesus says love is an action, doing, keeping his commandments. This shows you love him. Love, like faith, cannot be separated from obedience. You don’t have to enter a convent and give up everything. It’s simple. Here is the 2nd Assurance: Jesus will ask the Father to send the Holy Spirit to help believers. “Counselor” is the ancient Greek word parakletos. The idea is someone called to help someone else or it could be an advisor, a legal defender, a mediator, or an intercessor. It’s often translated as “Comforter” which comes from the Old English and Latin. The devil is the accuser. Hence, “Helper” for the Holy Spirit. “Another” means in the same kind. So the Counselor is in the same kind as Jesus and the Father and hence, the Trinity. Besides Jesus in essence. The Spirit is characterized by truth in essence and action. He brings people to the truth of God. All three persons of the Trinity are linked with truth. The world takes no notice of the Spirit of God. The Holy Spirit was already with the disciples (Jesus) but it would be in them (John 20:22). Acts 1:8 tells us the disciples will receive power when they receive the Holy Spirit. The Holy Spirit eliminates the distance between Jesus and ourselves. Jesus’ 3rd assurance: He will not leave them as orphans, but will come to them. To the Hebrews, the disciples of a particular teacher called him father; his scholars were called his children, and, on his death, the disciples were considered orphans. Jesus repeats this promise from 14:3 and fulfills it when he rises again after the cross. Because Jesus lives is the only reason we still live. The Holy Spirit allows us a union with God here on earth. Jesus says the world won’t see him so Judas naturally wonders why not and how will he do this. Judas is called ‘Judas of James’ in Luke 6:16 and Acts 1:13 or brother of James or son of James. He seems to be identical with the Thaddaeus of Matthew 10:3 and Mark 3:18. Some of the apostles were known by more than one name. We know in John 13:30 that Judas Iscariot is not there, but these words are added by John to make it clear since he is now a traitor. Jesus repeats himself again to Judas, emphasizing love, obedience, and union with the Father and the Son through the Holy Spirit. He repeats his 2nd assurance, emphasizing how God will send the Spirit in the Son’s name–the Trinity. God the Father sends God the Holy Spirit at the request of God the Son. Beautiful! Both are involved in the sending. Their work will continue through the power of the Holy Spirit. This is a general promise to us today if we listen carefully enough but specifically to the disciples who were commissioned to spread the Word, establish the early church, and to write the Word for all of us (the Bible). Summary of passage: John sees 3 angels. The first proclaims the eternal gospel to the earth and says to turn to God because the judgment has come. The second says how Babylon has fallen. The third warns that whoever worships the beast or bears his mark will have God’s fury, be tormented with burning sulfur, and have no rest. God says blessed are the dead who die in the Lord. 6a) First angel: The eternal gospel, saying to turn to God now and worship Him because judgment has come. Second angel: Babylon has fallen. Third angel: Whoever worships the beast or bears his mark will have God’s fury, be tormented with burning sulfur, and have no rest–a judgment upon men’s souls. 7) That Jesus is God’s son and only belief and faith in him as the Savior will result in forgiveness of sins and eternal life. 1 Corinthians 15 lays it out: the saving gospel is : Christ died for our sins, he was buried, he rose on the 3rd day. His blood set us free forever and justified us–all through grace (1 Corinthians 15:10). (Read 1 Corinthians 15:1-2 as well for use of the word “gospel”). Note: The first angel is preaching the gospel (turn to Jesus and be saved) AND announcing the coming judgment. He is announcing the “good news” that God’s words will be consummated–judgment is here, Satan will be vanquished, Israel shall be saved, and Christ shall come again! 8 ) Part personal Question. My answer: Matthew says to go and make disciples of all nations, baptizing them in the name of the Father, son, and Holy Spirit and teaching them to obey all of God’s commands. 2 Corinthians says to preach Jesus as Lord and let our light (knowledge of God and Christ) shine out to the darkness (unbelievers). 1 Peter says to declare the praises of God who called us out of the darkness into the light. God says we are a chosen people, a royal priesthood, a holy nation, belonging to Him, and Jesus says he will be with us always to the end of time. In essence, we are called to do what the angels are doing here: Proclaiming God’s greatness, power, glory, and grace and what happens to those who fight against Him. Good connection. I am wondering how you answer this question if you are not a believer. It seems if you’re not a believer, BSF is saying to skip this question. Strange. Conclusions: Has anyone else noticed that there has been no challenge questions in this study? I believe these are forever gone now and instead BSF provides us with the Scripture for the answers. Any thoughts on this? It’s good for new believers I think. I remember my first year doing Isaiah and I’d have no clue where to go for the challenge questions because I didn’t know the Bible. On question 7 which normally would have been a challenge question I just knew the answer without having to look it up. I think it’s a good thing. Most of us don’t know where God’s word says eternal truths and having the Scriptures in front of us helps us to know and learn and memorize where God speaks to us. It helps us in our daily life, in evangelizing, and in our daily battles with Satan since God’s word is a weapon. Any other thoughts? Clarification: Note I am speaking of challenge questions only that pertain to the passage. I’m not speaking of random questions that are on different topics that take us all over the Bible (see YESTERDAY’S conclusion for my opinions there). THE FIRST ANGEL: The peoples of the earth can either voluntarily give God glory and be saved or they will either one day be forced to give God glory (Philippians 2:9-11) and be damned. Seems intuitive to me. This gospel is called “eternal gospel.” It is the same gospel as we know it (accept Jesus as Lord and Savior or be damned) but it’s preached during a specific time (Great Tribulation) and with more of an urgency (this is the people’s last chance to choose God). Note: This is the only place in the New Testament where we see angels preaching the gospel. God has chosen man and given him the job/responsibility to spread the word of Jesus to all (Question 8)–a responsibility we need to take seriously and keep in the forefront of our minds at all time. Babylon: Babylon was the first of the 4 beasts in Daniel 7. We will see Babylon again in Revelation 17. “Babylon the Great” is taken from Daniel 4:30. All first century Jews/Christians would know who Babylon was and what they did to God’s people. It was the center of a world empire, noted for its luxury and moral decadence. Some say Babylon here stands for Rome since Rome was the center of pagan worship during John’s time and the angel here is predicting the downfall of the Roman Empire (known as prophetic certainty). Scholars point out in prophetic writings of the time “Babylon” was the code word used to refer to Rome. Some say it represents rebellious people. Others take it literally–Babylon that is rebuilt and restored. The interpretation that make sense to me is that Babylon the Great stands for man’s ungodly political systems and governments that man has created. It is an evil that opposed God. Some scholars extend this to say it is Babylon the Great versus the New Jerusalem. Whichever you believe, John chooses it to represent the evil in this world and in man’s heart. Most likely this is spiritual adultery (worshiping of false gods) caused by Babylon but with spiritual adultery comes physical as well. The repetition of fallen is to emphasis that Babylon is about to receive judgment. THE THIRD ANGEL: Receiving the mark of the beast is a choice that one makes. It’s a choice that leads to God’s wrath. Like worshiping pagan gods in God’s mind. God’s cup of wrath is mentioned 13 times in the Bible (Psalm 60:3; 75:8; Isaiah 51:17; 63:6; Jeremiah 25:15-16; 51:7). This is the cup Jesus drank for us (Matthew 26:39). Here, those who don’t accept Jesus will be forced to drink it. Note the wine is “full strength.” In Ancient Times, everyone including children drank wine because the water was unsafe to drink. However, it was always diluted or watered down. Here, the unbelievers will not face any watered-down version of God’s wrath. It will be full strength God! The Greek word for wrath (thymos) is used here and 9 more times in the book of Revelation. It is only used once elsewhere in the Bible. It means passionate wrath. A different anger (orge) which means settled indignation is most often used in the New Testament. Note the torment of burning sulfur. God burned Sodom and Gomorrah the same way. Note how angels and God and Jesus will be present in hell. It’s wrong to think otherwise. They are there to oversee judgment–all love will be absent. “For ever and ever” is the strongest Greek word for eternity and ages. Torment will be everlasting. I’d rather have life myself. I fervently wish more churches would speak on this and more people would dwell on it. I think in today’s society people think nothing of hell and thus have no idea of what they are facing as unbelievers. If more people would ponder hell, we might have more investigating the greatness of God, the one who can save from such torture. Note the present tense here. People worship the beast continually and they will continually be tormented as just punishment. God encourages the saints (those who accept Christ during the Great Tribulation) to be steadfast during the judgments and remain faithful even if they face death and their deeds will be remembered in heaven. Same goes for us–our deeds will follow us to heaven. What we do here matters. Fun Fact: This is the first of only 2 times the Holy Spirit speaks directly in the book of Revelation. Summary of passage: The “rabble” complain now about only having manna to eat. God is angry and Moses is angry as well. Moses asks God why did He give them those people to care for. He tells God the burden of these people is too heavy to bear alone and he wants to die for God doing this to him. (Moses is complaining as well here). God agrees to anoint 70 leaders to help Moses with the people. God also says he will provide meat for the Israelites for 30 days until they will loathe meat because they have so much of it. Moses lacks faith and asks God how he is going to do such a thing. God says He will. God put His spirit upon the 70 elders who now prophesied. Then God drove quail from the sea for the people to eat. However, God still being angry, struck the Israelites with a plague. 5a) The fish, cucumbers, melons, leeks, onions, and garlic they ate there. b) That they were slaves. 6a) He became so exasperated that his faith began to waver in God and he even asked to die rather than deal with these people alone. c) He agreed to anoint 70 elders to help Moses with the people and to provide meat for the Israelites so they would stop grumbling. d) Personal Question. My answer: With peace that it would all turn out alright. 7a) God deemed they would have meat for 30 days until the point they loathed it. b) Before the people could even taste the meat, he struck them with a plague. Conclusions: A couple questions I thought were left hanging and could have been expounded upon more. I love God’s response! It’s like “Fine. I’ll show you!” Be careful what you ask for! I picture Moses’ tirade and it isn’t exactly pretty. While I can understand His frustration, I don’t understand His doubt. End Notes: The word “rabble” at the beginning includes the non-Israelites who accompanied them to Egypt. So everyone is complaining. The Israelites are traveling with a huge flock of goats and sheep so if they wanted meat, it was freely available as well as any wild game they came across in the desert. It’s as if they were too lazy to do it themselves and wanted God to provide it, but they went about it in totally the wrong way. Funny how the Israelites remember the good in Egypt and not the bad–the whippings, the work, etc. They have forgotten God’s promises of the Promised Land ahead in favor of the hardships to get there. This is true for us today. God’s best is ahead of us, not behind. Complaining against what God provides is complaining against Him. The manna was very nutritious in every way and yet the Israelites were bored. How sad! Moses allows the people’s unbelief to infect him and he doubts God as well. God allowed this to happen to Moses to test him as well. It’s how God grows our dependence on Him. Here we see the earliest argument of “If you really loved me, Lord, then why did you do this to me?”. God’s response: “Because I love you.” Great testament for our lives. We see what God does. He answers our prayer and then some. He also brings about judgment as well. Great lessons here of caution against the negativity of others and how God grows our faith every day in the midsts of our “why me’s?”. We can also see through Moses him pouring his heart out to God–his anger, his frustrations, his pains, his anxieties. We need to take it to God more and pour out on Him our troubles–but not question His character nor His goodness. God did not answer Moses’ request to not “face his own ruin.” For in our weaknesses, we find God. God picked Godly men to help Moses and support him. This is a good lesson for us–we need to not be afraid to ask for help and to accept it in our Christian walk. Moses could not see how God would provide meat. This is often the case. We cannot see how God will do something and frankly we don’t need to see. All we must do is believe. The anointing of the men with the Spirit is key here–one cannot do God’s work without His blessing and His heart. God needed to make sure these men were His to act for Him. Joshua here is only looking out for Moses. He is not jealous in any way like Moses suggests. He (like many others) wasn’t privy to what was going on with the 70 men, so he was merely alerting Moses to what he saw happening. Quail by the millions migrate over the Sinai Peninsula every year. Note how the quail landed outside of camp. We should know that nothing good is outside of God. If this were to be a blessing, the quail would have landed smack in the middle of camp. Here we see God’s judgment coming. This is an important lesson for the Israelites to take to heart: don’t let your cravings control you or get in the way of your relationship with God. It’s about the spiritual, not the physical. Psalm 78:27-31, 106:13-15 speak to this incident. Summary of passage: Jesus says if anyone causes a child to sin it would be better for him to be drowned in the sea. Jesus warns of sin, saying it’s better to cut off your hand or foot or gouge your eye if it causes you to sin than to end up spending eternal life in fire/hell. Do not look down on any of these. If a sheep herder has one sheep that wanders off, he goes and looks for it and is happy when he finds it. The same with God who is not willing to let any of his little ones remain lost. b) John had seen a man driving out demons in Jesus’ name and had told him to stop. Jesus told John not to stop him for the man was doing a miracle in his name and thus will be rewarded. John was in danger of discouraging this man and maybe committing a sin if he didn’t drive out demons if God had told him to. 7a) Personal Question. My answer: Do not judge others. Encourage others not to judge others. Point it out to others when they are judging others because sometimes we just don’t realize we are. Remove any stumbling blocks and have an attitude of peace and not discord. Sometimes it’s better to mind your own business if you don’t agree with something and let God handle the rest. b) Any sin. We are all imperfect and we all fail as parents in raising our children and dwelling on the “stumbling blocks” I think doesn’t do us any good as I feel bad enough for my sins. We can’t do everything nor can we be everything; hence, we have God. I repent, ask forgiveness, and I pray to do better next time. That’s all I can do as a Fallen parent. c) Personal Question. My answer: Stress. Work. Anger. Feeling like I’m not in control. Selfishness. Not understanding others’ perspective nor taking the time to. Impatience. Indifference. 8 ) Personal Question. My answer: It’s comforting to know that when I stumble and lose my way God will come and find me and bring me back to Him. So despite my sins, He takes care of me and loves me. Conclusions: 7b is WAY too broad in my opinion. Parents do or don’t do a TON of stuff that causes kids to stumble. I wish this would have been more focused. Wish we would have had more than one question on the lost sheep parable. That to me is encouraging especially after being told to cut off my hand due to sin. End Notes: It is one thing to sin but a far greater sin to make others sin as well. Drowning was a Roman punishment but not a Jewish one; hence, Jesus chose this example for emphasis. God will deal with those who sin against us. Thus, we must give it to Him as we ask forgiveness for those who harm us. I love the guardian angels looking down on us. Great picture! God’s love is individual, joyful, seeking, protecting, seeking, and patient with His lost sheep. So must we be as well. Summary of passage: Abraham’s servant left on the quest to find a wife for Isaac. He went to the town of Nahor in Northwestern Mesopotamia and stopped at the well. The servant prays to God for the chosen girl to give him and his camels water when he asks. Rebekah appeared who was the beautiful daughter of Bethuel son of Milcah who was the wife of Abraham’s brother Nahor. She gave the servant a drink when asked and volunteered to water his camels as well. The servant offered to pay for lodging and Rebekah readily agreed. The servant bowed and worshipped the Lord who has been faithful to Abraham by leading him to Abraham’s relatives for a wife. 6a) Traveling in ancient times. There were robbers always about. And finding a wife out of a small pool of people. b) He prayed for the Lord to give him a sign and he was specific about it: Let it be the girl who gives him AND his camels a drink at the well. c) Personal Question. My answer: The actual doing it. Pray and follow through. 7a) The servant asked for the girl to offer him and his camels a drink of water when asked. The servant was at a well so water was readily available. It was toward evening when all the women go to draw water so there would be a lot of opportunity for this to happen. He didn’t ask for fire to be sent down or something outrageous to test God. b) That she was thoughtful and helpful to others. She was sharing and caring. That she was willing to do hard work. The servant had 10 camels with him. One camel can drink up to 20 gallons so watering 10 by hand would have taken at least an hour. That she had a servant’s heart. 8a) Verses 17-19 She did what the servant prayed for. b) Verse 24 She was a relative of Abraham, not a foreigner. c) Verse 27 He praises God. Conclusions: Very short answer day. I liked the personal question the most because it brings me back to my purpose here on earth, which lately seems to be languishing by the wayside. We can assume the servant was Eliezer from Genesis 15:2 since a different name is not used in this passage. Before the servant was even done praying, God answered his prayer (verse 15). I wish God would do this for me.